ShelterWorks and Faswall Featured in 1859 Oregon's Magazine - ShelterWorks Ltd.
ShelterWorks owners Thomas Van Denend and Paul Wood were profiled in July/August 2014 edition of 1859 Oregon’s Magazine, a lifestyle publications that covers everything Oregon. The article, part of a regular feature on Oregon startups, describes how the business got started, survived the Great Recession, and grew stronger as a result. 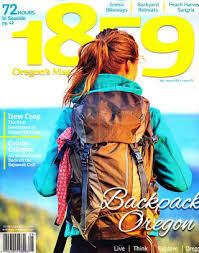 Read the article online here or pick up a copy of the magazine at major retailers like Fred Meyer and Barnes & Noble. ShelterWorks and Faswall green building blocks have also been featured in several other publications including Fine Homebuilding and The Oregonian newspaper. See more articles on our Faswall in the News page.